Welcome to The Links Event Center! Our team of talented event professionals has one goal – to ensure the success of your event through exquisite service, a warm and inviting event space, and delicious cuisine. 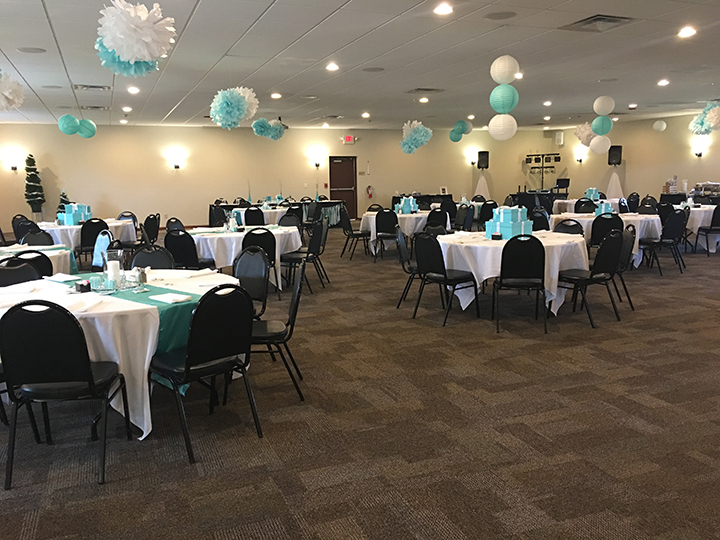 The Links Event Center is able to cater to all of your event needs, accommodating groups of 25 to 250 for weddings, corporate meetings, special events, family celebrations and golf outings. We offer a wide selection of culinary options to ensure that every guest is completely satisfied. Our meal service styles include buffet lunches, appetizer stations, and plated meals. If you do not see a specific menu item listed in our menu, please contact our team of Event Consultants to discuss how we can create a customized menu together. Our event consultants will guide you through the planning process to make your decision-making as simple as possible and take care of all the details at our full service facility.We look forward to working with you to create an incredible event.